Webcams in different parts of Rostock and the seaside resort of Warnemünde enable you to see what is happening at the moment. Enjoy the view of the Baltic Sea or the Kröpeliner Straße and see what is happening in Rostock. Have a look at the Warnemünde beach promenade from the webcam at the Hotel Neptun. The webcam at the Yachthafenresidenz Hohe Düne marina gives you a wonderful view of the Baltic Sea. See what’s going on at the Universitätsplatz on the Kröpeliner Straße. 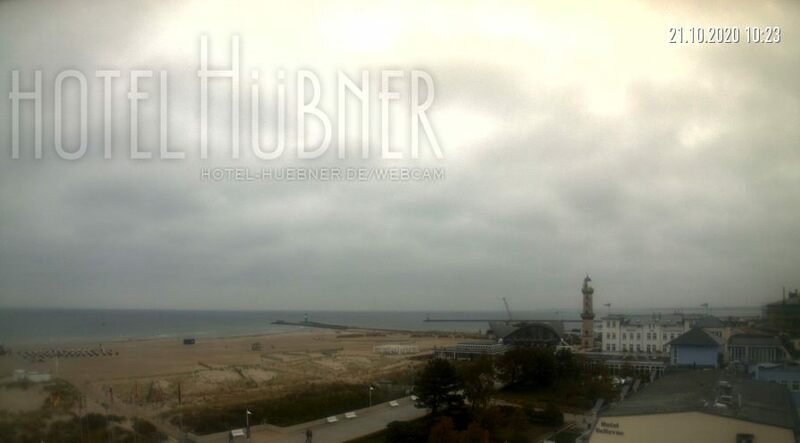 The webcam at the Strand-Hotel Hübner in Warnemünde gives you a wonderful view of the Baltic Sea. See the cockpit of the GLASHÄGER racing yacht and everything around it (its main location is the harbour in Rostock). A panoramic camera of the beach resort in Markgrafenheide by the Baltic Sea, with a view of Warnemünde.